Mobile marketing is marketing on or with a mobile device, such as a smart phone. Mobile marketing can provide customers with time and location sensitive, personalized information that promotes goods, services and ideas. Inbound Mobile Marketing is a subset of Mobile Marketing and is increasingly more effective as mobile users are starting to use Ad blockers to tune out disruptive messaging. Inbound Mobile Marketing, on the other hand, is permission based. Inbound Mobile Marketing taps into the needs of your potential customers and serves relevant and timely content to help them along their buyer’s journey. 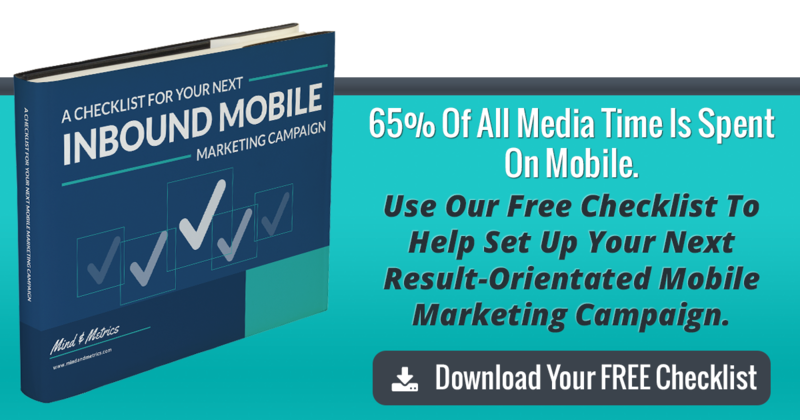 Interested In Starting Your Own Inbound Mobile Marketing Campaign?